Police are appealing for witnesses to an assault on a 45-year-old local man who was attacked in Cambridge Road, Hastings, on Wednesday June 17. The victim was out for the evening with friends in Hastings town centre when the assault took place at 7.45pm. The incident occurred outside Yates’s bar and at one point a chair was thrown at the victim. A 44-year-old Hastings man was arrested on suspicion of affray. He was questioned and later bailed until Tuesday August 4 while enquiries continue. 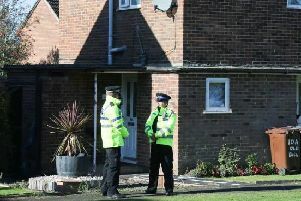 Two local women, aged 26 and 29 were also arrested on suspicion of affray. Both were bailed until Wednesday August 5. Anyone who saw what happened or who may have other information is asked to email 101@sussex.pnn.police.uk or phone 101, quoting serial 1542 of 17/6.